It’s all very well for pro-open CWG-Internet parties to use WTPF-13 as a shining example of multistakeholder participation, but in reality, the majority of multistakeholder participation happened in the preparatory Informal Experts Group (IEG) work and not at the WTPF-13 in May. 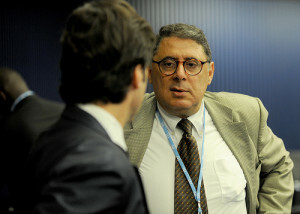 A number of States had, for various reasons, not participated in the three IEG meetings and, instead, expected WTPF-13 to follow the usual pattern of intergovernmental meetings: you turn up, you debate the proposed texts, you play around with square brackets, and make changes to the proposed texts until everyone is equally unhappy. Multistakeholderism is effective in getting all views represented and included. Multistakeholderism benefits those with the money to participate while penalizing the developing world. Those who participated in the IEG meetings tended to be the pro-multistakeholder crowd and were happy with the largely pro-multistakeholder text that came out of the IEG meetings. Those who doubt the virtues of multistakeholderism tended to have skipped the IEG meetings, or, if they’d attended the IEG meetings, believed that IEG consensus texts could be reopened at WTPF-13. When those texts weren’t reopened in Geneva, they felt like their views had been excluded in a process that, ironically, was lauded for being “multistakeholder”. Those holding the latter view were, quite understandably then, concerned that their last refuge of equality amongst governments, the CWG-Internet, might be opened. Given the rhetoric of multistakeholderism and its inclusion in the Tunis Agenda, however, it’s hard for States to openly reject multistakeholderism. Therefore, in the end, the formal proposals to open the CWG-Internet were defeated by the procedural issue of whether or not it was legal for the Council to change the contents of a Plenipotentiary resolution. Of course, the Member States of the ITU will replay the CWG-Internet argument all over again in Busan during Plenipotentiary 2014. In Busan, however, there will be one major difference: the procedural arguments that defeated attempts to open the CWG-Internet, even on a limited trial basis, will no longer apply. 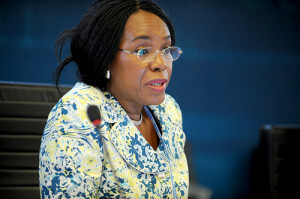 The Plenipotentiary in 2014 will have the authority to update the resolutions made at Plenipotentiary 2010. The debate, therefore, is likely to focus on the value, or otherwise, of including non-government stakeholder participation in the CWG-Internet. Multistakeholderism does not ensure equal representation of all views. Multistakeholderism does not mean that individual stakeholder groups can’t hold their own (closed) meetings. The Tunis Agenda states that each stakeholder group has a distinct role in Internet governance and “policy authority for Internet-related public policy issues is the sovereign right of States”. The last argument is the weakest, so I won’t deal with it any further here. But the first three arguments merit further consideration. For now, though, I’ll only address the first argument. I’ll blog later on the second two arguments later. It’s true that multistakeholderism, as practised today, leads to an unbalanced representation of stakeholder views. I disagree, however, with the Member State representative who said at ITU Council 2013 that until the problems of multistakeholderism are fixed, it shouldn’t be invoked in the CWG-Internet. If we waited for perfection before doing anything, the Internet, and many other things we rely on, would still not exist. However, we shouldn’t passively accept the problems with multistakeholderism either. Instead, we should all be looking for ways to ensure there are no barriers, financial or otherwise, for participation by all stakeholders in multistakeholder settings. Unbalanced multistakeholder participation isn’t a problem limited to ITU. We also see it in the so-called “I* organizations”: ICANN, ISOC, IAB, IETF, the RIRs and W3C. Yes, there has been much work by the I* organizations to enable participation through fellowships, remote participation, multilingualism and more. But is it enough? Could the I* organizations do more? Can the large companies who have benefitted from the Internet plough some of their profits to help less well-resourced stakeholders participate in Internet governance discussions? Could governments from developing countries work more closely with stakeholders in their own countries to ensure a wider range of views are included? Finding ways for those with more resources to assist stakeholders with limited resources is about ensuring that the Internet ecosystem survives. If supporters of the multistakeholder model of Internet governance really want to ensure that the model thrives and grows—even to the point of opening up the CWG-Internet—then it’s vital to use a community-developed approach to making that model more effective. It can be very easy to criticize an opponent’s point of view. We’ve seen many times over the years how pro-multistakeholder parties point out the deficits of a government-only model. (I’ve done this myself). And we’ve seen pro-government parties point out the deficits of the multistakeholder model. The problem with this model is that in focusing on our opponent’s flaws, we forget to about our own flaws. Or, even worse, we work so hard to hide our flaws from our opponent, we are scared to even admit to ourselves that what we do is less than perfect. The risk in such an approach is that it can alienate our own supporters. This is where organizations invoking multistakeholder practices must be careful today. We must acknowledge where multistakeholderism isn’t working so well and fix it. We must listen to those who criticize our practices and find ways either to explain the merits of those practices or to examine those practices to address their concerns. Of course, not all criticisms will be legitimate. But we should never reject a criticism out of hand simply because we don’t like the overall philosophy of those who are making it. Multistakeholderism is about embracing a variety of views, even if they are different to our own. Right now, a number of governments are concerned about embracing multistakeholderism because they see it as a messy process where the loudest and best-resourced voices continue to dominate. They have a point. If we want them to let us in the CWG-Internet room when they’re having discussions, then we also need to make sure they feel that they can participate on an equal footing with better resourced governments and other stakeholders in other venues too. We should all work on improving multistakeholder practices to ensure that all stakeholder voices, particularly those who have found it difficult to participate, are included. If we can do this, then one of the major arguments against having multistakeholder processes for the CWG-Internet will disappear. Finally, if we are truly committed to multistakeholderism, we should ensure that we demonstrate good multistakeholder etiquette when interacting with the ITU. And how better to do that than ensure the full diversity of stakeholders respond to the current CWG-Internet’s open consultation before it closes on 1 August 2013? With only four submissions received since the consultation opened in February, we’re currently doing a terrible job of demonstrating the existence of even the faintest multistakeholder interest in participating in the CWG-Internet’s activities. Annex A of the report on WTPF-13 was a draft resolution, Participation of all Stakeholders in the Council Working Group on international Internet-related Public Policy Issues. It recommended that, given the success of multistakeholder participation in WTPF-13, PP-14 make CWG-Internet open to all stakeholders. It recommended that in the interim, the CWG-Internet be make open to all stakeholders on a provisional “test” basis. The rationale for the “test” opening of the CWG-Internet before PP-14 was that it would help Member States at PP-14 make a better-informed decision on how the dynamics of multistakeholderism in the group would work. This proposal states that as many WTPF-13 delegates supported both the need to define the role of governments in the Internet governance model and the need for further discussion of the issues raised in Brazil’s “Opinion 7“, the CWG-Internet should define general principles for State participation and the role of governments in the Internet governance model for consideration at PP-14. Despite the similarity to the “operationalizing enhanced cooperation” discussions happening at the CSTD Working Group on Enhanced Cooperation (WGEC), the proposal avoids directly referring to “enhanced cooperation”. Instead, it refers to WTPF-13 Opinion 5 by number, rather than by its full title, On supporting operationalizing the Enhanced Cooperation Process. USA proposed amending Council resolutions 1336, which created the CWG-Internet in 2011, and 1344, which in 2012 defined how CWG-Internet open consultations would take place. USA proposes opening CWG-Internet to all stakeholders and making all CWG-Internet documents freely available to all. The successful use of open and transparent discussions during the deliberations of the Informal Experts Group during WTPF-13 preparations is used as the reason to open the CWG-Internet. Sweden’s proposal suggests that all CWG-Internet documents should be freely accessible to all stakeholders, with a provision that, on a case-by-case basis, individual documents still be kept accessible to governments only, if felt necessary. This is Sweden’s second attempt to get CWG-Internet documents made publicly available. 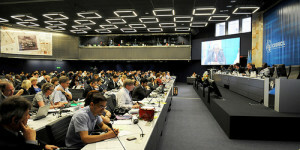 The first time was at last year’s ITU Council 2012 meeting, where it submitted Contribution 65, Contribution from Sweden – Council Working Group on international Internet-related public policy issues (CWG-Internet. It uses WTPF-13 as an example of how well multistakeholderism can works within ITU’s Internet-related discussions. Poland proposed holding a discussion to amend Plenipotentiary Resolution 102 (Rev. Guadalajara, 2010) to open CWG-Internet to other stakeholders. Note that the proposal isn’t to open the CWG-Internet. It’s a proposal to discuss opening the CWG-Internet. As with the USA, Sweden and ITU Secretary-General proposals, it uses the success of multistakeholder participation at WTPF-13 to explain why opening the CWG is a good idea. First of all, I apologize, dear reader, for taking so long to post this. I started writing a week ago then got sidetracked into analyzing the earlier versions of the Brazilian draft proposal. It all became so complex, that I’m now splitting it all up into a series of posts over the next few days. I’ve previously blogged about the first day and a half of WTPF-13 here. And about the second half of the second day here.